Stowford and Lewdown Action Group Wine and Wisdom evening | MABRAKE – Milton Abbot, BRadstone And KElly Action group. 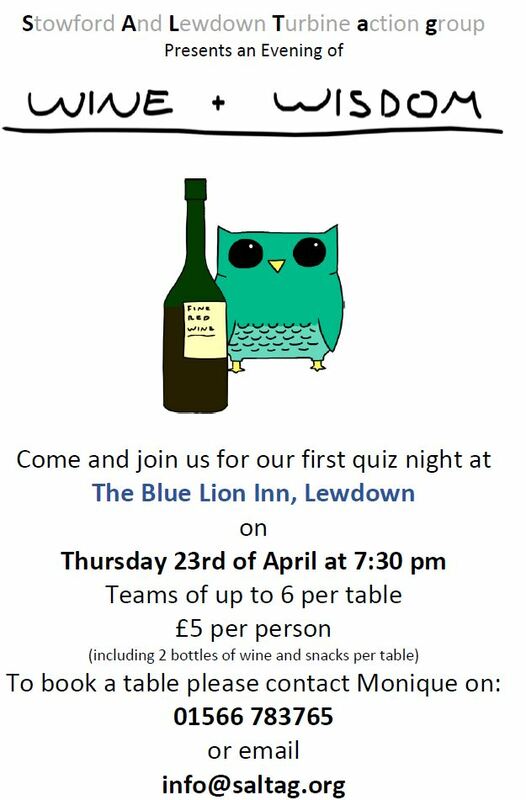 SALTAG are very happy to announce their first official fund-raising event, Wine and Wisdom at the Blue Lion on 23rd April 2015, 7:30pm. An entertaining evening of trivia, nibbles and fun. Prizes and adulation for the winners, derision and insults for the losers. Whether you can come or not, please help to make this a success by putting up one the posters in your window or garden. Perhaps you could invite your friends or neighbours?